As a family of 5, the staycation has become our new best friend. With so many amazing places to explore right on our doorstep, it makes sense to sometimes avoid flight costs and the stress of travelling abroad. 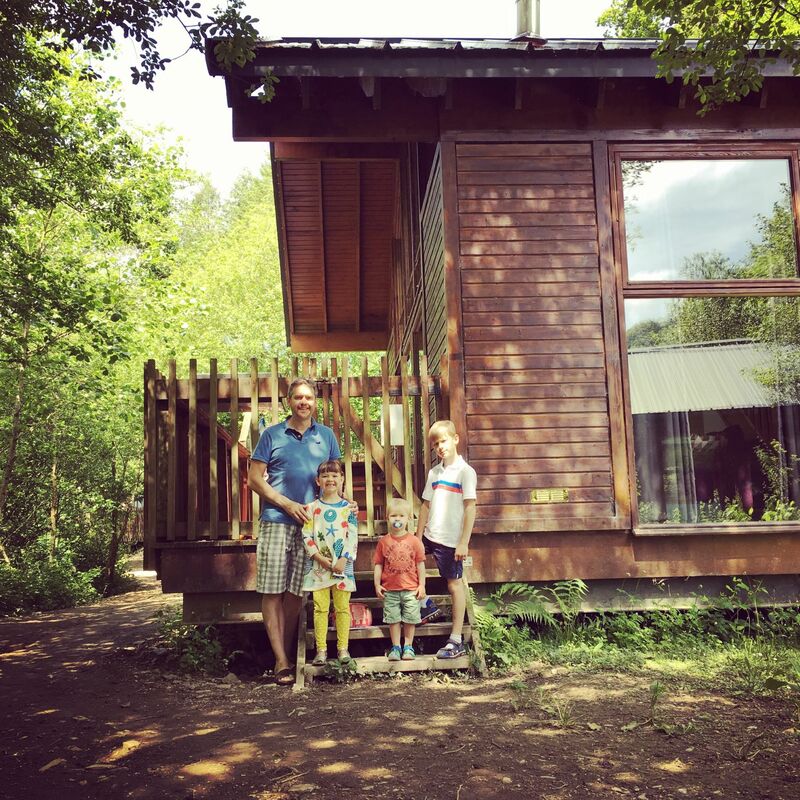 One of our favourite family destinations in the UK is Forest Holidays, so when half-term rolled around we decided to visit their location in Cornwall for the first time. We were completely blown away by the atmosphere, location and endless activities on offer in the area and I can’t recommend it enough. 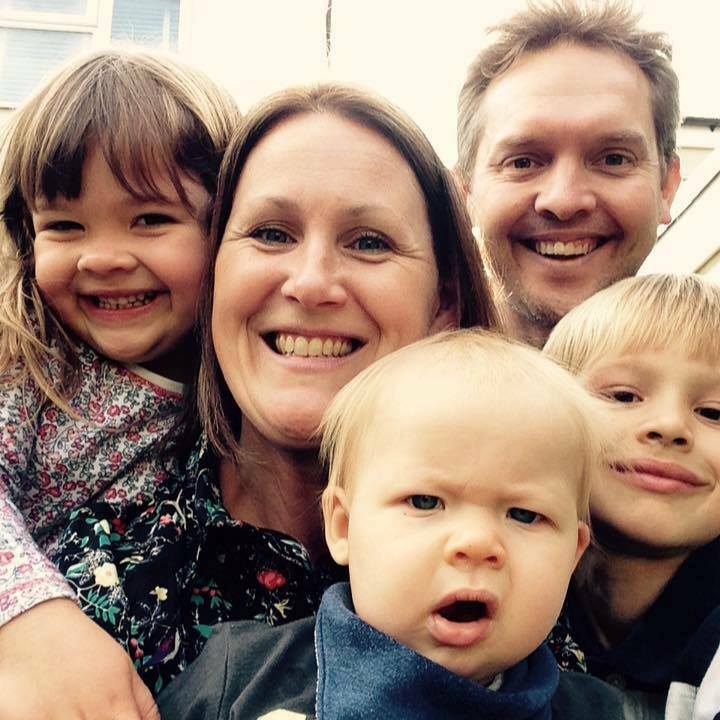 Check out our Top 10 Reasons why it’s the perfect family holiday. This is what sets this holiday apart from all the other staycations we’ve had in the past – location location location! Situated deep within a wooded valley in Deerpark Forest, the setting couldn’t be more idyllic. 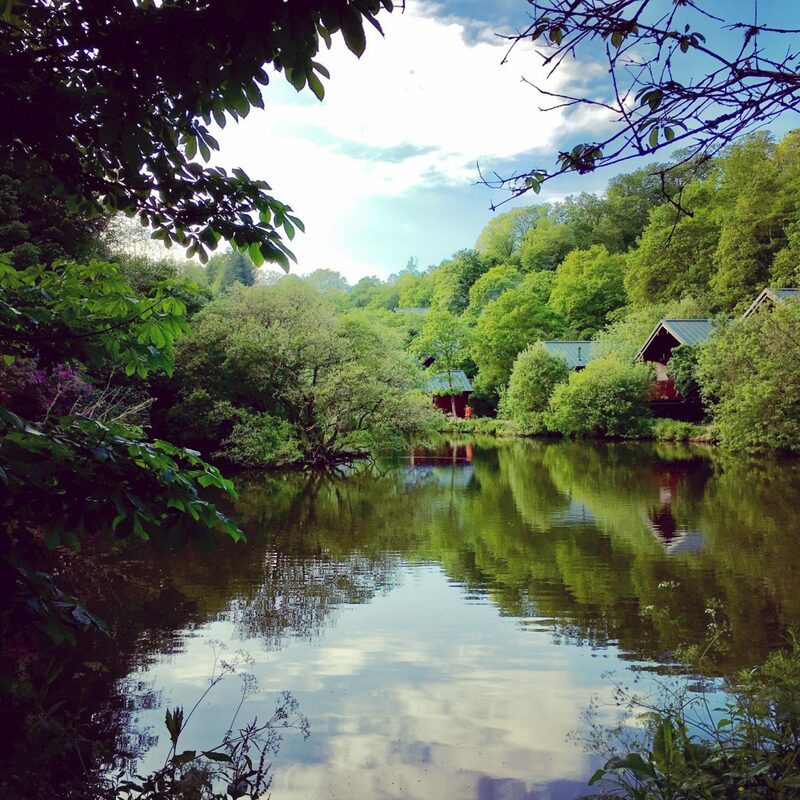 With only 45 cabins available, you will find yourself either located next to an ancient Cornish millpond or set amongst towering pines on the valley. Each cabin feels extremely private and a sense of tranquillity hits you straight away. An easy stroll from your cabin and the surrounding woodland is breathtaking. There are a number of walking trails available and our 8, 6 and 2 year old were perfectly capable of tackling these. Whilst whining. Stopping to pick up sticks/stones/leaves/bird poo every 5 minutes. And asking for snacks. But I’ll take it – we went for a family hike! 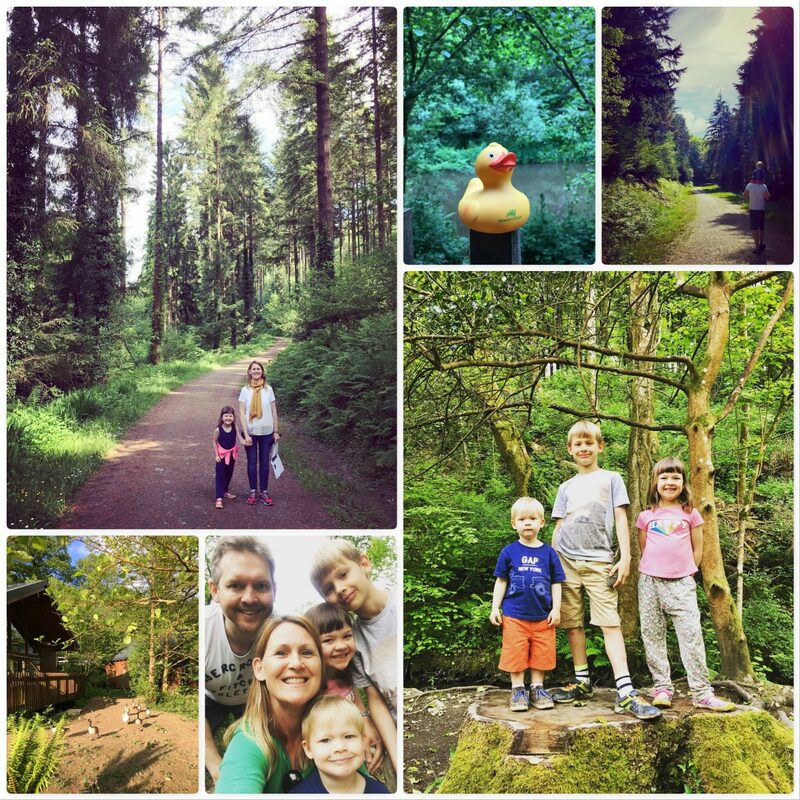 Overall, the forest with its awe inspiring trees and stunning views is the perfect antidote to busy family life and you find yourself unwinding instantly. Call me boring, but this is a huge part of why I love a Forest Holiday. 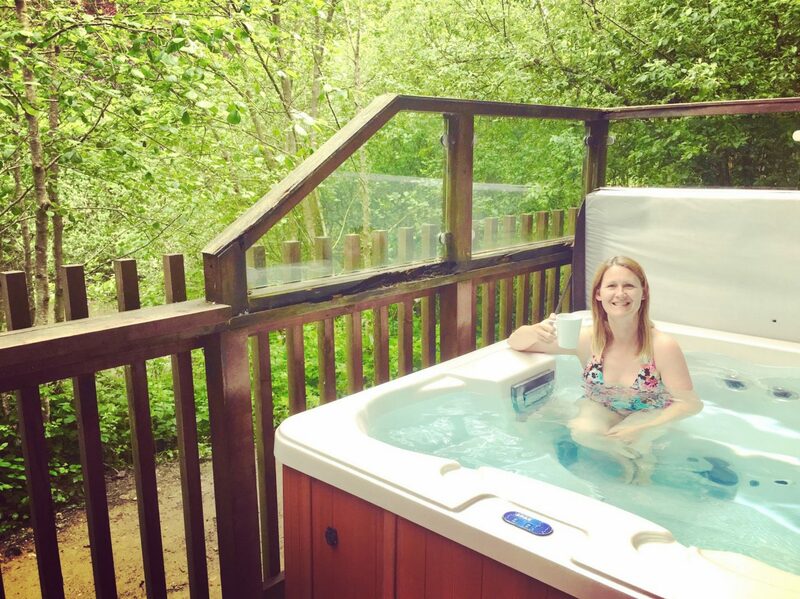 Having visited Forest Holidays in the Forest of Dean before, I knew exactly what to expect from the accommodation and therefore didn’t run the risk of being disappointed when I checked in. Not only are the log cabins a unique place to stay, but they are open plan, immaculately laid out and the high ceilings and large windows make them feel extremely spacious. 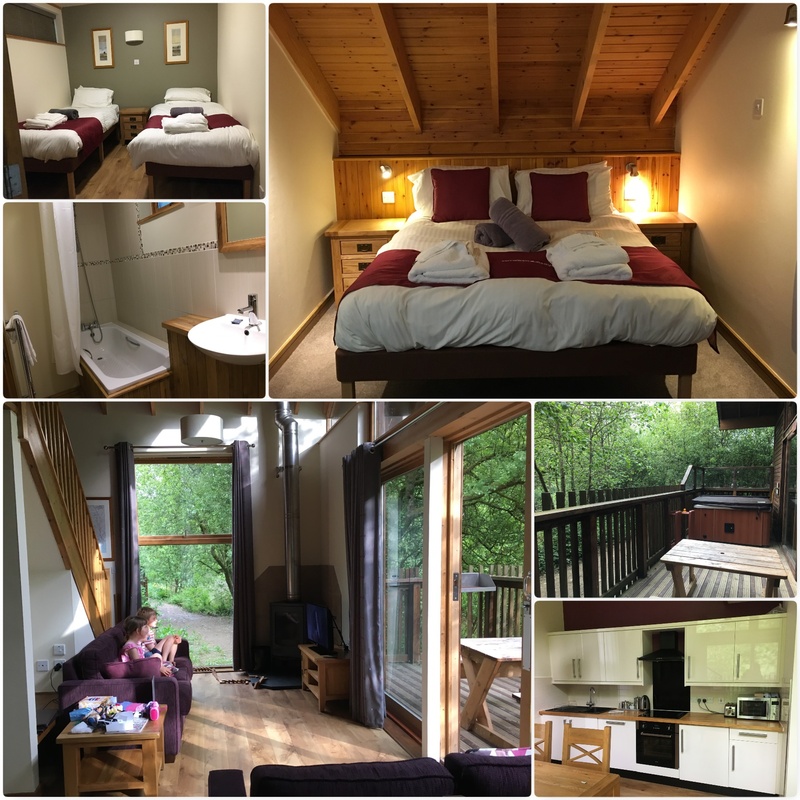 We booked one of the Golden Oak cabins and the bedrooms were clean and comfortable and the sofas perfect for lazy evenings watching movies. The kitchen was equipped with a large variety of cooking utensils and the decking area was the perfect spot for a BBQ or relaxing with a glass of wine. What were the kids looking forward to the most out of this holiday? You guessed it, the hot tub! Commonly referred to as the “Hot tub holiday”, I couldn’t believe how much the kids enjoyed using it. No matter what time of day, they would happily jump in. It was also the perfect spot for a quiet coffee in the morning and a glass of wine once the kids were asleep – just don’t tell them that! There are so many fun and educational activities to do on site that you don’t actually need to leave! We kicked off our holiday with the Great Deerpark Duck Race. This is a free activity and was a fantastic way to familiarise ourselves with the area and meet some of the other families. There were prizes galore and it was fantastic to see everyone getting really involved. 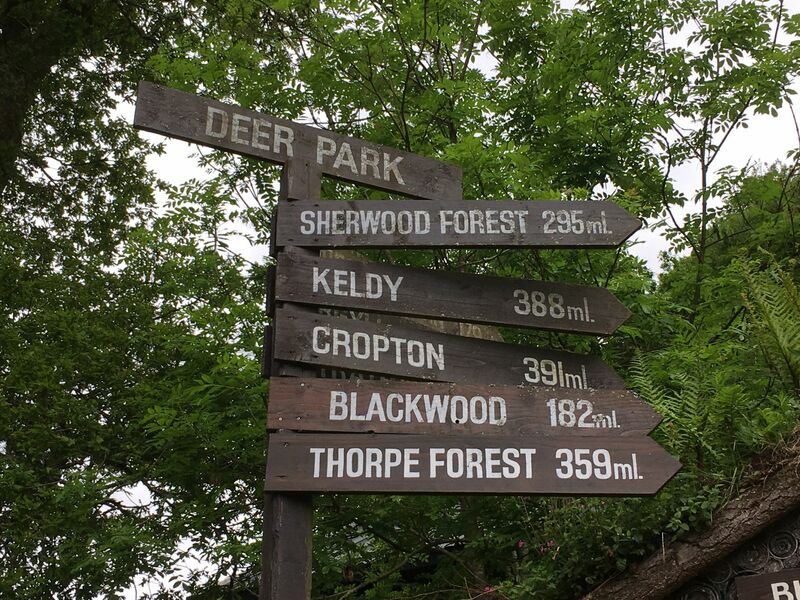 In addition to this, there are numerous walking trails, bike hire and a number of pre-bookable activities including spa treatments and Forest Ranger activities. We opted for the Forest Survival course and this turned out to be a real highlight of our trip. 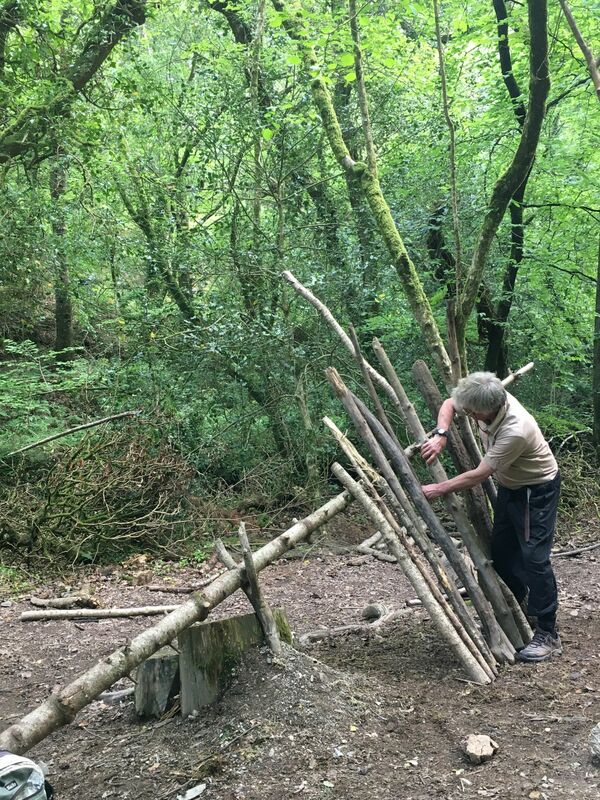 Run by Martin, who just happens to be the most enthusiastic and genuine forest ranger I have ever met, we were treated to a fascinating afternoon learning about how to survive in the forest. 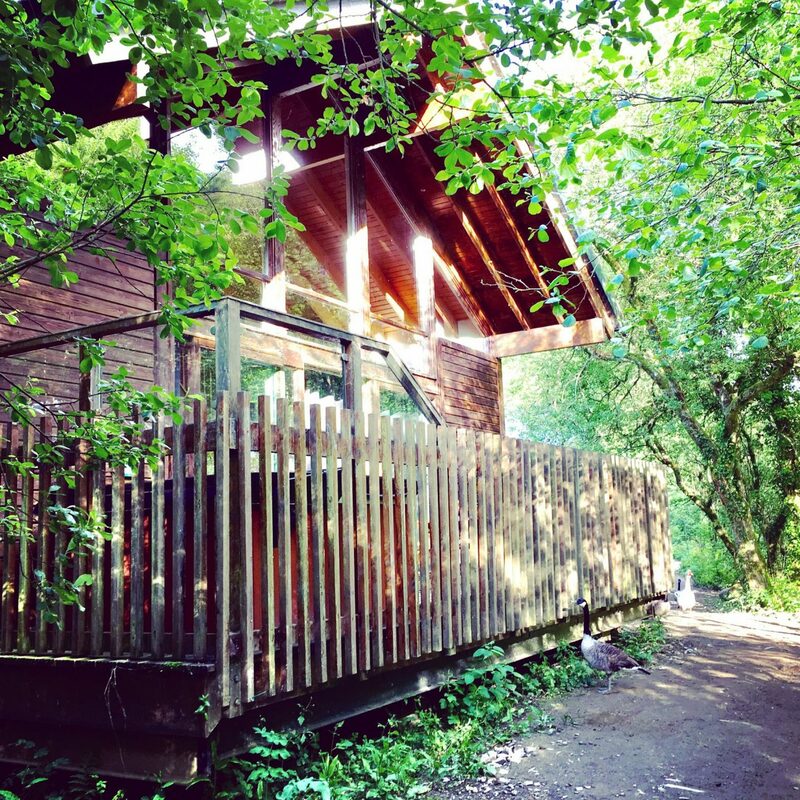 Everything you could possibly need for a mini break can be found at the Forest Hub. Not only can you purchase groceries, delicious pre-made meals, souvenirs and alcohol, but there is also a bar and restaurant where you can either eat-in, grab a take-away or have food delivered to your cabin. 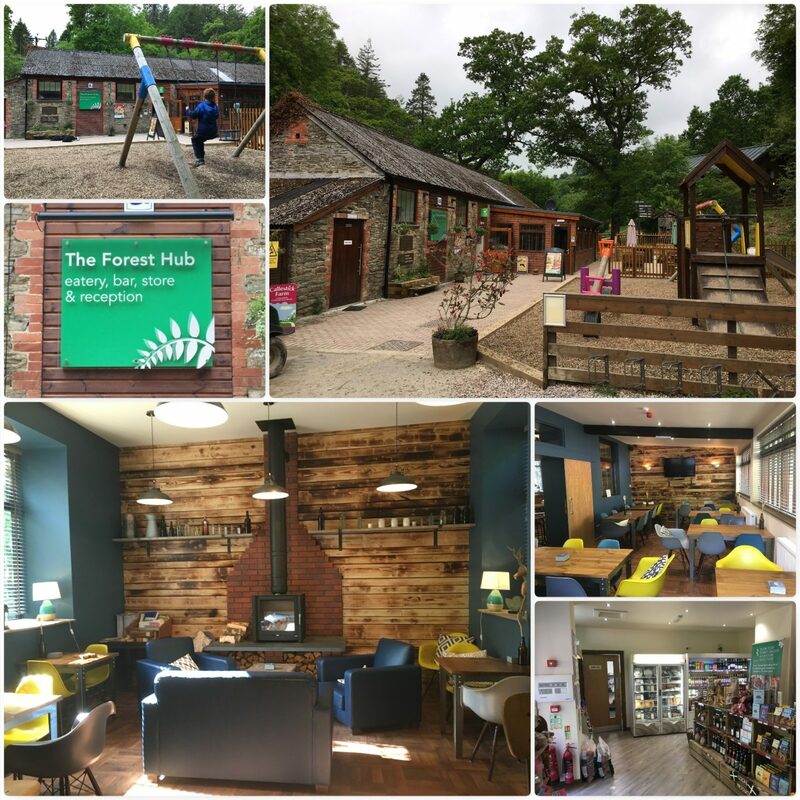 The staff are always on hand with lots of advice about where to go and the play area outside was a favourite with the kids as they got to make loads of friends while the parents sat with a coffee or glass of wine. The hub also hosts a charity quiz night which was really good fun, despite the fact we lost! It says a lot about a company when all the staff you meet are genuinely friendly and willing to help. From the Forest Hub to the Forest Ranger, we were always greeted with a smile and made to feel right at home. Everyone went above and beyond my expectations and it really made a huge difference to our holiday experience. I cannot emphasise enough how relaxing it is here. With little or no WIFI, it is so peaceful and tranquil that you quickly find yourself on ‘forest time’. Even leaving the cabin was a struggle sometimes as the kids were happy simply playing, feeding the ducks from the decking or watching movies from the entertainment package. I also wasn’t expecting this holiday to feel like a holiday camp, but with the combination of the amount of young families staying, the friendly staff and on-site activities, there is a real sense of community here and I really enjoyed that. Where to start! There is so much to do in this part of Cornwall. Just a short drive from your woodland cabin, you can discover sandy beaches, historical castles, fishing villages, zoos and many more family activities. 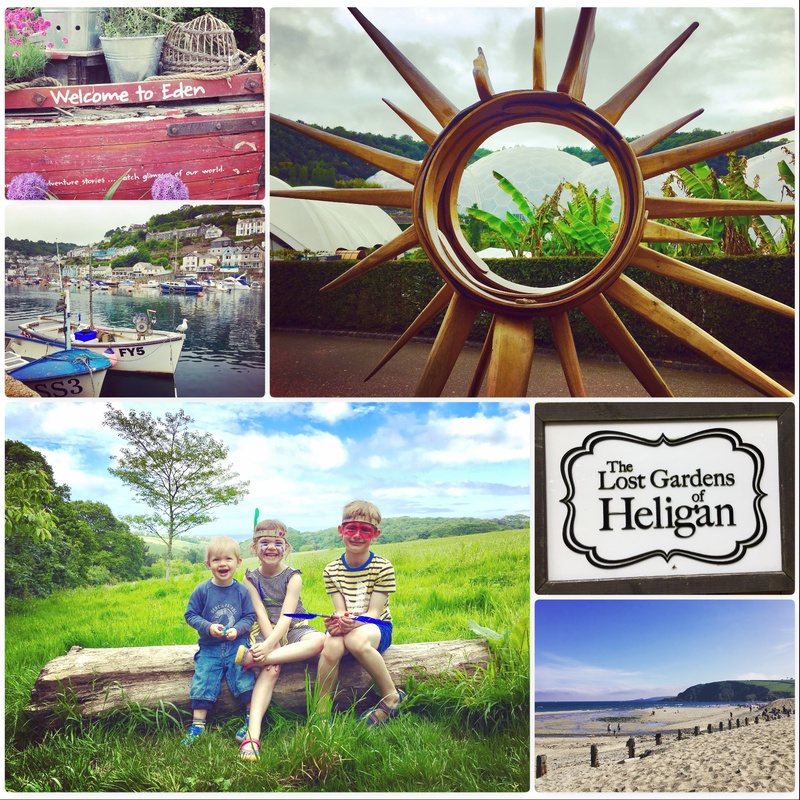 As part of our 5 day adventure, we visited the amazing Eden Project, the unique Lost Gardens of Heligan and spent wonderful afternoons on the family friendly Pentewan Sands Beach and the fishing village of Looe. 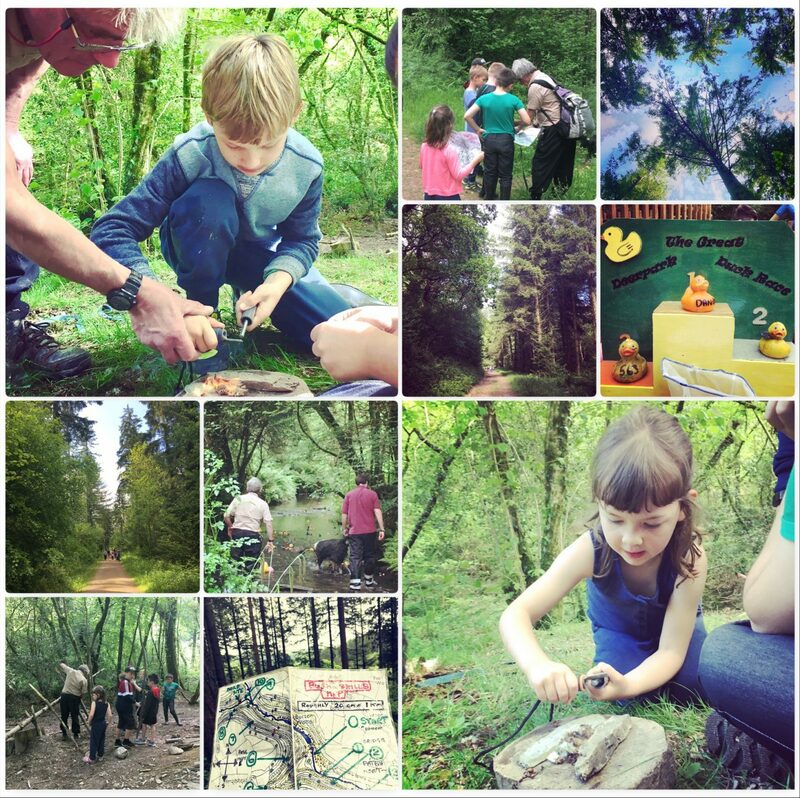 Forest Holidays really are geared towards families. 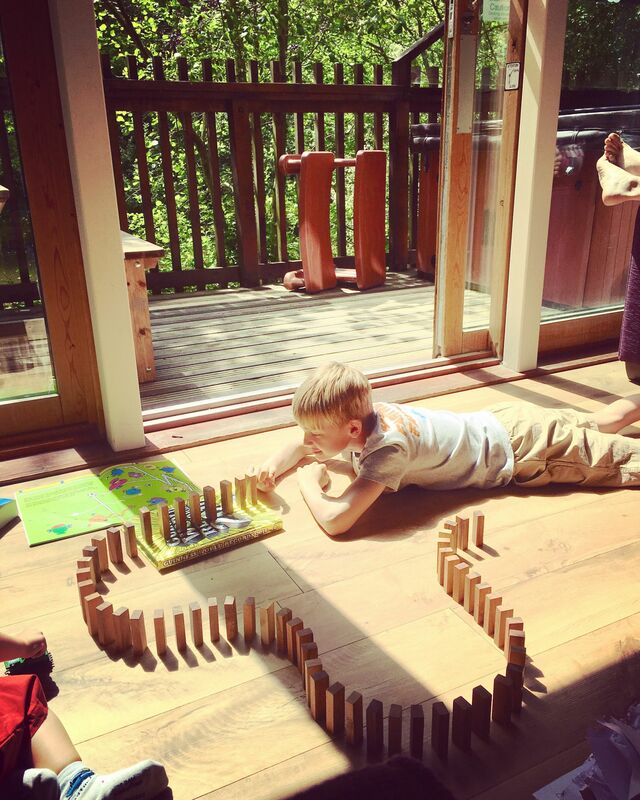 Not only can your children play safely in the open plan layout of the cabins, but you can take part in a huge array of activities on and off site, hire baby equipment (stair gates are free, highchairs and cots incur a fee) or simply hang out in the play areas. Additionally, stag and hen do are discouraged as it is politely requested that noise levels are kept to a minimum after 10pm. You know, parent bedtime, as holidays with kids are EXHAUSTING! For the larger family or for those wishing to bring the Grandparents along, there are cabins with 3 or 4 bedrooms available. 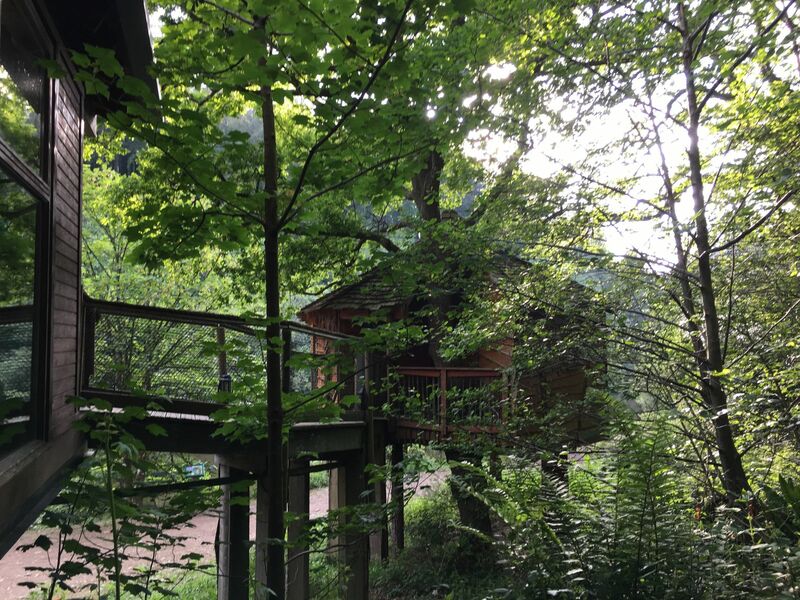 The Golden Oak Treehouse even has the luxury of one separate bedroom which can only be reached from the main cabin by a wooden bridge. The perfect escape for Grandma and Grandpa when the kids just want to play one more game of scrabble! For both groups, the kitchen table and sofas will easily accommodate everyone. 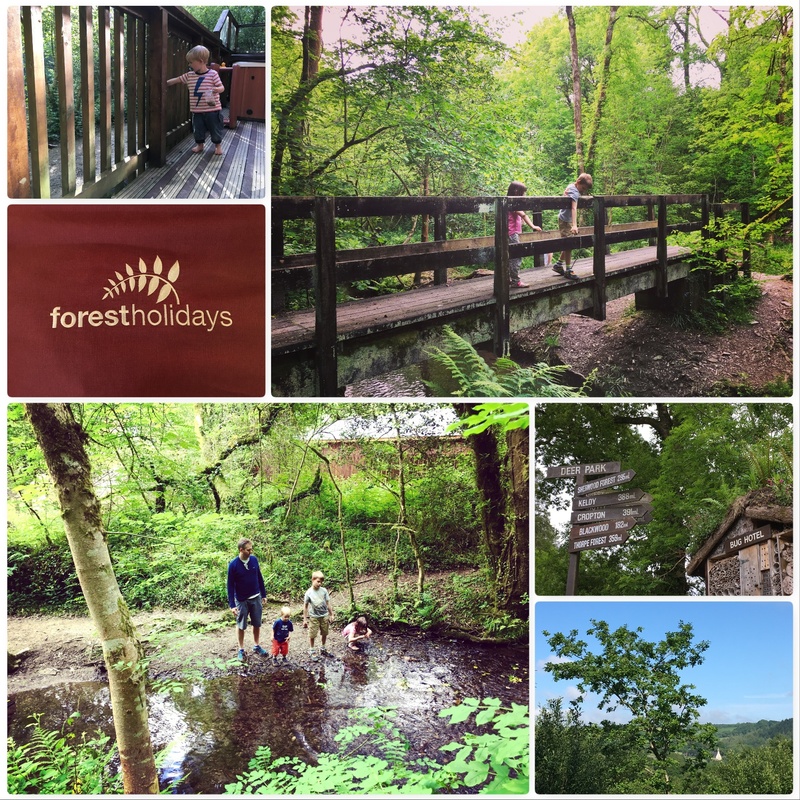 I hope you enjoyed reading about our Forest Holidays adventure in Cornwall. As you can see, it truly is a fantastic destination for families looking for a relaxing staycation in the UK. I can’t wait to carry on exploring all the other destinations Forest Holidays have! Please note, this is not a sponsored post. We paid for this holiday ourselves. All opinions are my own.